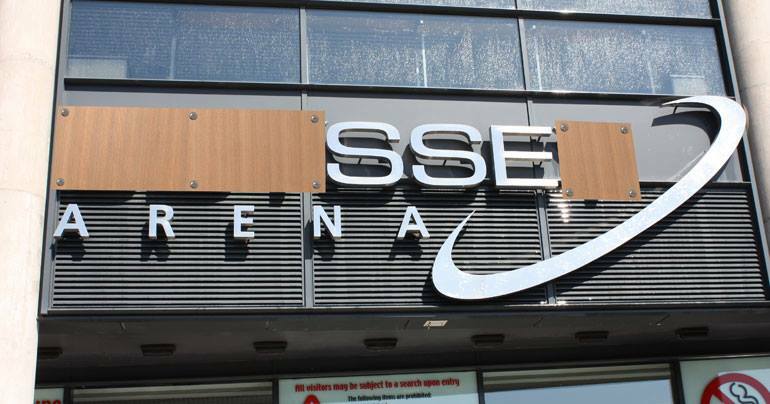 There were wild celebrations in Belfast today after it was announced that the city’s famous Odyssey Arena was to be renamed in honour of its new sponsors – energy suppliers SSE. It is also understood that a consortium of local drug dealers made a bid to simply call it the ‘E’ arena but pulled out after failing to agree a percentage share with local paramilitaries. Elsewhere the Waterfront Hall has been forced to deny rumours that it is to drop the word Water from its name in a bid for a sponsorship deal with your granny’s porch.